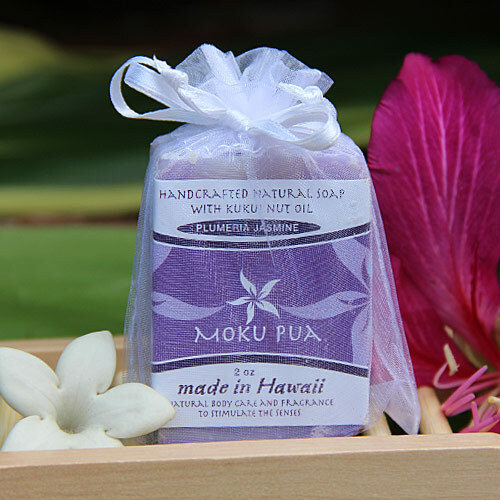 Moku Pua Fizzy Bath Bombs are a Spa treatment in your home. 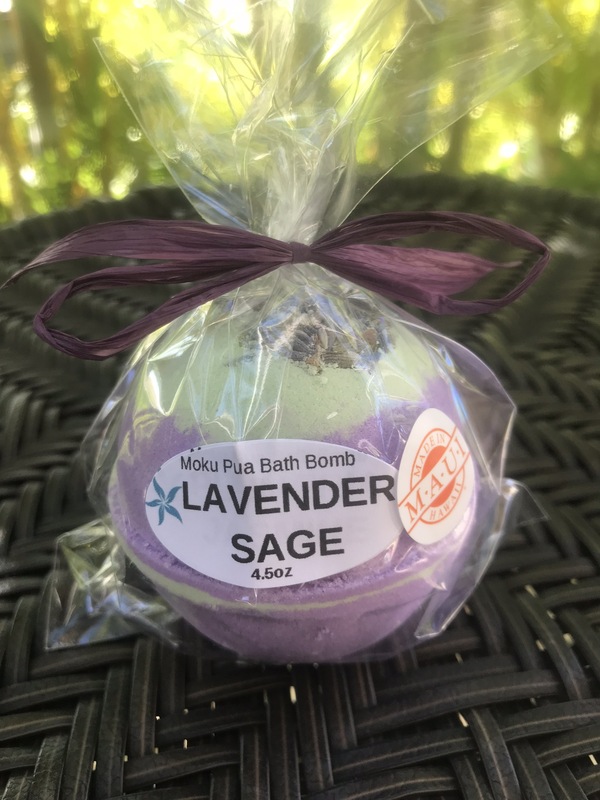 Enjoy a relaxing bath that will hydrate and rejuvenate your skin and senses. 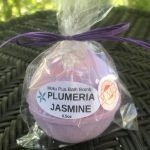 Our Fizzy Bath Bomb is made with nourishing Coconut Oil to soften and moisturize skin. 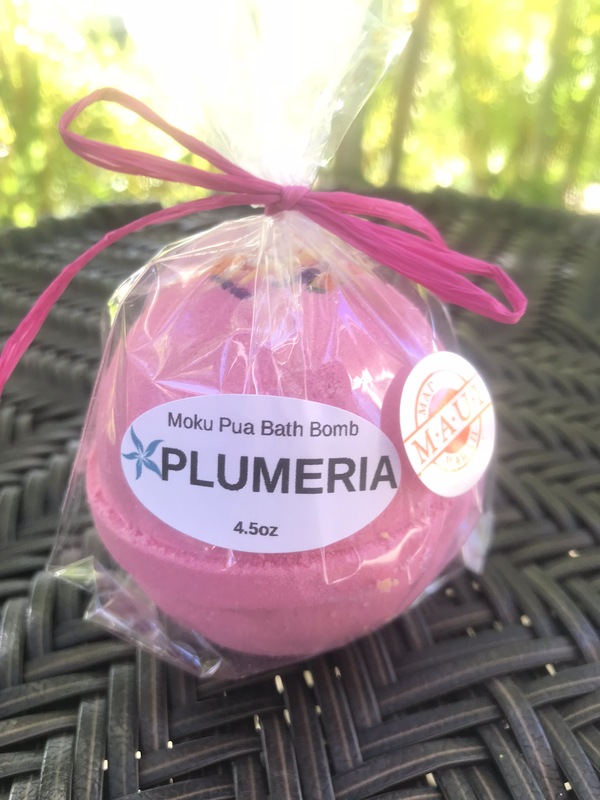 Moku Pua’s Plumeria Jasmine Fizzy Bath Bomb Floats, Spins, Fizzes and shoots out different colors. We add Kaolin Clay for the benefit of dry, damaged skin. 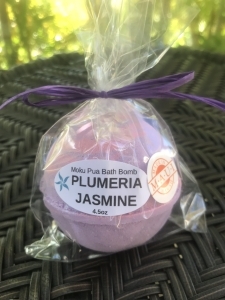 Pamper yourself after a stressful day with an enjoyable bath using a Fizzy Bath Bomb. Turn out the lights, light a candle, and relax. Comes in a 4.5oz Round Bath Bomb. 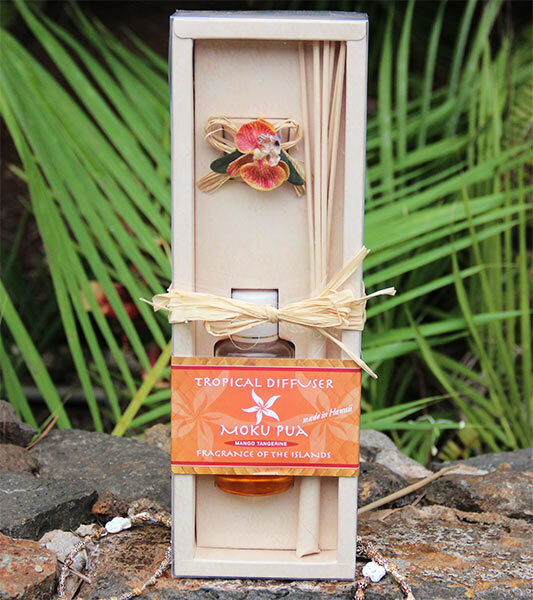 Bicarbonate of Soda, Citric Acid, Coconut Milk, Kaolin Clay, Plumeria Jasmine Phthalate Free Fragrance Oil, Cream of Tartar, Coconut Oil and/or Sweet Almond Oil, Isopropyl Alcohol, Polysorbate 80, Natural Mica for Color.